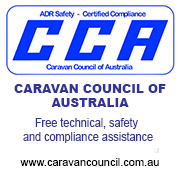 THE Civil and Administrative Tribunal NSW has ordered Jayco to replace a customer's two-year-old fault-riddled $70,000 caravan. 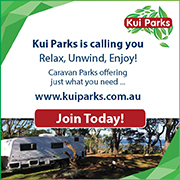 The tribunal heard that Junette Nicholson bought the Sillverline 24.7 brand new from Watson's Caravans Coffs Harbour in 2016 and that it had since undergone warranty repairs on about 10 occasions and that over 90 items had been reported. In his written decision, tribunal General Member Mark Gilson said numerous defects still existed in the caravan. "I conclude that a reasonable consumer being fully acquainted with these circumstances would not have acquired the caravan," he said. Ms Nicholson had claimed a full refund of the purchase price or a replacement caravan of the same value. 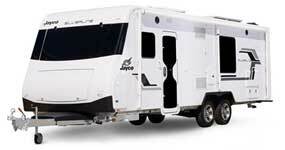 During the hearing, the dealership maintained the caravan could still be used for its intended purpose. And Jayco argued there was little evidence that the caravan had a major defect, was unsafe or unfit for its intended purpose. But the tribunal found that numerous defects existed in the vehicle. 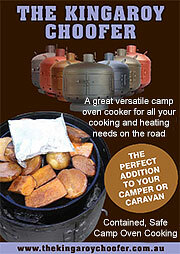 "Of significant concern is the supply of gas to the stove and the operation of the stove, the squeaks to the floor and the bulges/deformations of some areas of the exterior walls," Mr Gilson said. "Numerous other defects are of concern and require rectification or replacement. "I consider there to be some 13 items in this category, such as material used to stabilise table not of sufficient durability, four perspex side windows exhibit cracks to the corners, some seals to the slide-out area are perishing and the second drawer under the sink does not remain locked whilst the caravan is travelling." Mr Gilson ruled that some items raised by Ms Nicholson were not defects, including misalignment of shade over the slide-out area, operation of the front window cover and a curve in the roll out awning rail. "Consistent with my findings that there have been, and in fact still are numerous defects in this caravan, I conclude that a reasonable consumer would conclude that the caravan is not of acceptable quality," he said. "I determine that the failure in the caravan is a major failure. The applicant is therefore entitled to reject the caravan." 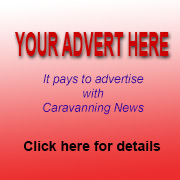 The tribunal ruled that Jayco must supply a replacement caravan of the same type and of similar value on or before July 18 and that Ms Nicholson must return her existing caravan within a week of receiving it. 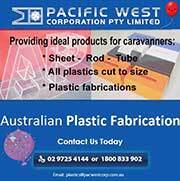 Both actions will take place at Watson's Caravans in Coffs Harbour.